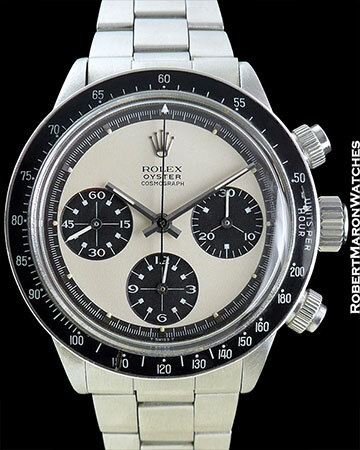 Collector and investor demand is voracious for vintage Paul Newman Daytonas. The very rare versions like this early Mark 1 6263 with Mark 1 Paul Newman dial in pristine condition are being bought and retired permanently by smart collectors. Original stainless steel case is 38mm diameter by 13mm thick, with original Mark 1 bezel with sharp edges and black Units per Hour insert in clean condition. 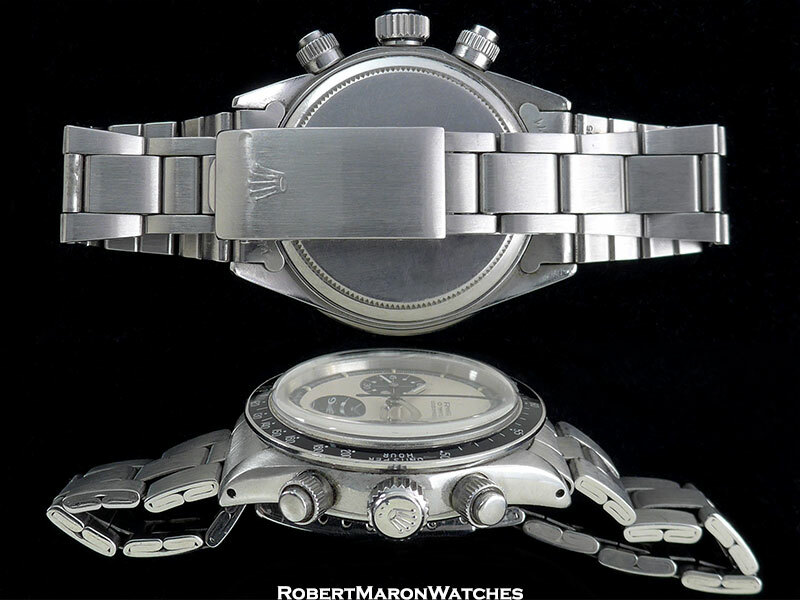 Mark 1 chronograph pushers also known as “millerighe” for the shallow channeling on the reeded part. Plastic crystal. Screw down crown and screw down Oyster case back. 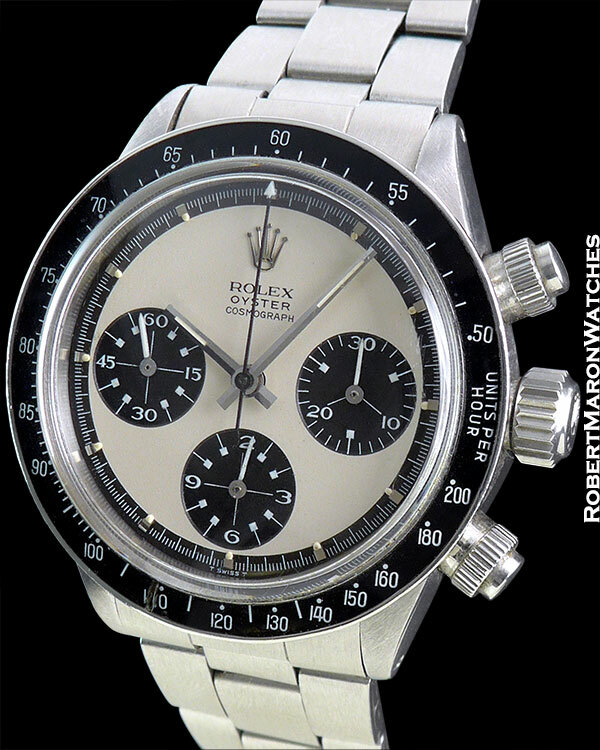 Original untouched white Mark 1 “Panda” Paul Newman dial with step in perfect condition with original hands. Original Rolex manual winding Caliber 727 with 17 jewels and adjusted in 3 positions. Movement has column wheel construction and is pristine and running. Rolex bracelet in excellent clean condition.